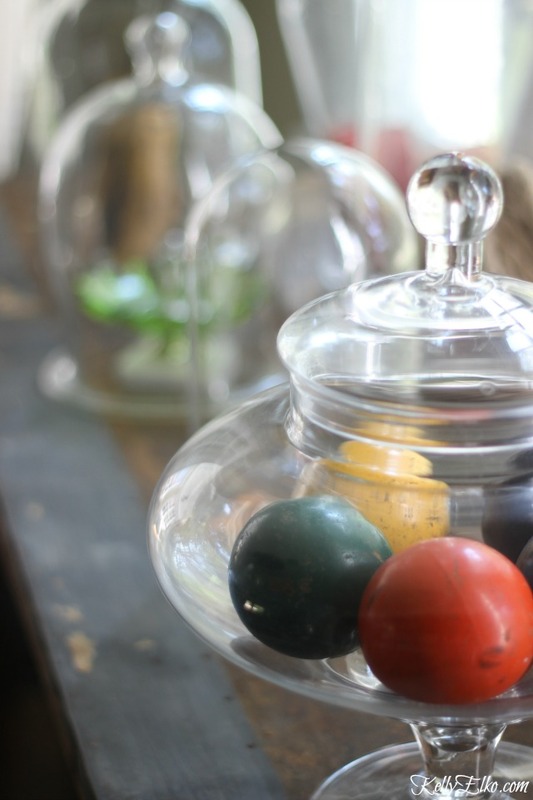 Meet my “table of curiosities.” Instead of brains and bones, I’m displaying some favorite vintage finds. Displayed under glass, these very different objects unite into a beautifully eclectic work of art on my antique wallpaper pasting table. 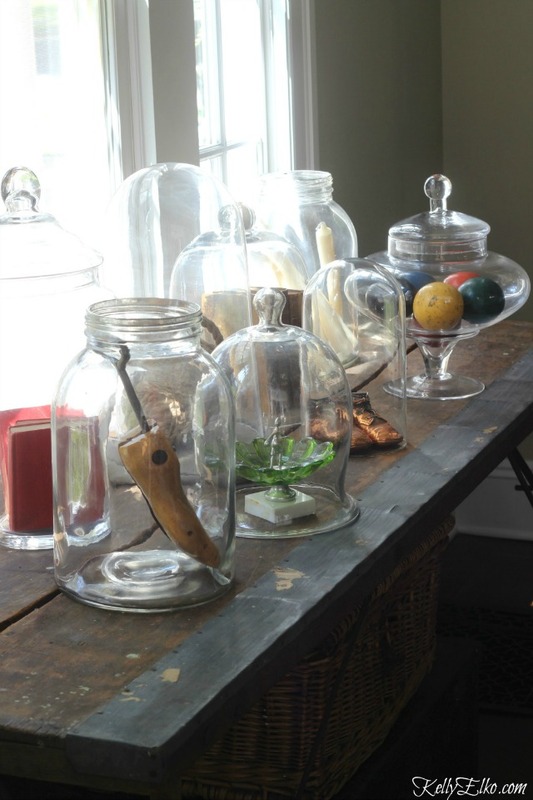 The key is using different sizes of cloches mixed with jars (with and without lids). 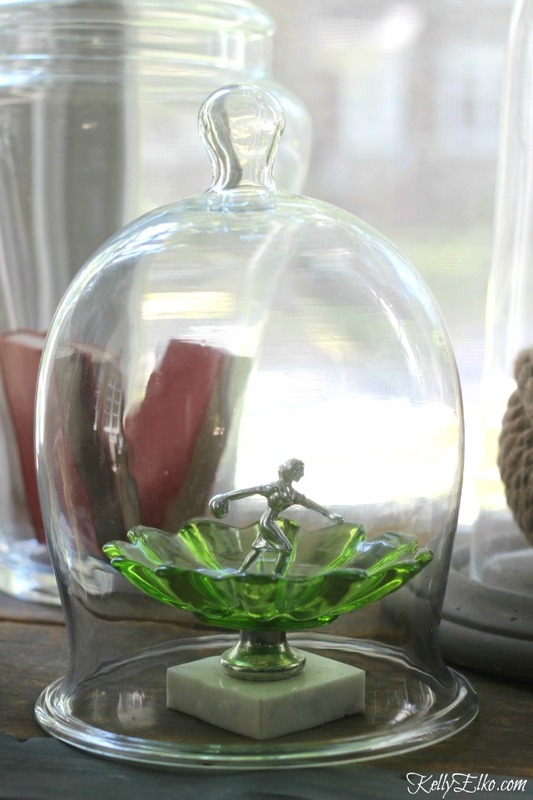 I found most of these at HomeGoods and thrift shops except for the tall cloche with a concrete base filled with a rope monkey ball. Some of my favorite sentimental finds include my hubby’s bronze baby shoes and leather bound books that belonged to my dad. Why is it that putting something under glass makes it look so important? « Previous: My New Blog and My 5 Year Blog-iversary! Just when I’ve run out of ideas, you come up with a variation. 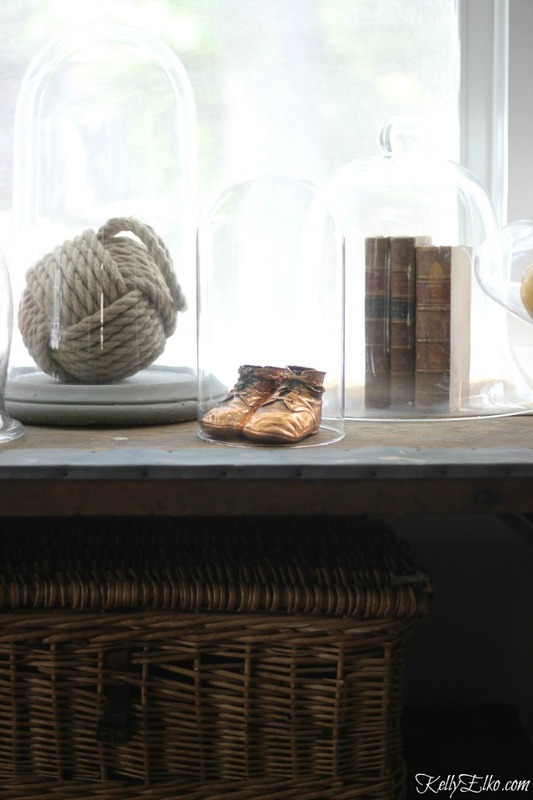 I have my husband’s baby shoes, my brother’s trophy, some cloches and a few other things that are scattered here and there. It gives me a fresh look at my things. I need to go shopping in my own house. Thanks so much. Enjoy seeing your treasures in a new light Eileen! I love your collections and how they are displayed, hope you don’t mind but, i have been working on doing the same. You just have so many great ideas, thanks. Please do the same and enjoy Marlene! I love this idea Kelly. So different and fun. 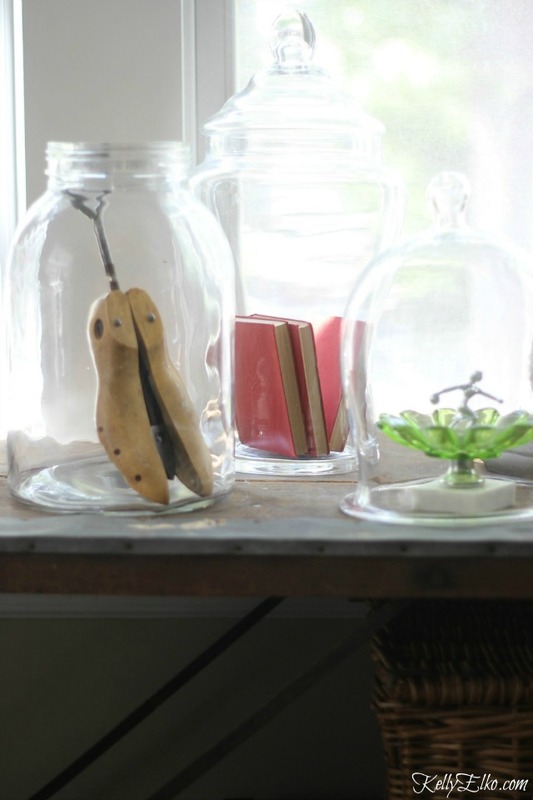 I think showing off your favorite things makes it feel more cozy and personal. Thanks for sharing. By the way love your new profile snippet! Agree Hope! It’s all about showing off things with personal meaning and things that you love!